The steppes to the north of Transoxiana and the Caspian and Black Seas became known as the Qipchaq Steppes during the Golden Horde period, named after the Khan of the Qipchaq, Batu. It is sometimes referred to by its Persian name, the Dasht-i Qipchaq. Just like Khorezm, the settled part of Toktamish's former province had been devastated by Timur. Ibn Arabshah, writing shortly after Timur's death described how: " ... the cultivated part of Desht became a desert and a waste, the inhabitants scattered, dispersed, routed and destroyed, so that if anyone went through it without a guide and scout, he would certainly perish, losing the way ...". The once flourishing caravan route from Khorezm to Crimea was empty: " ... nothing ranges there but antelopes and camels". 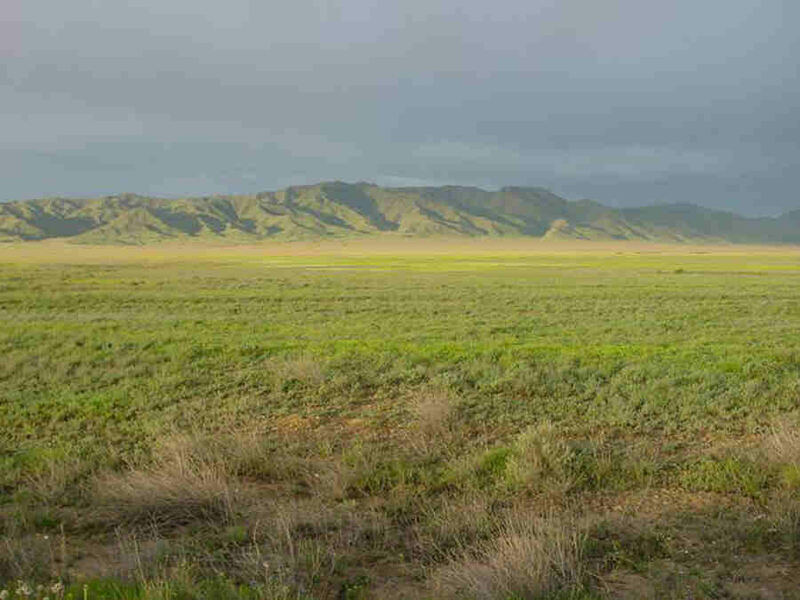 The Qipchaq steppes range from Central Europe to Mongolia. But nomadic societies are much harder to destroy by conventional military means than sedentary societies, and the many different Turkic tribes inhabiting the Qipchaq steppe continued to wander with their cattle, sheep, and horses. The destruction of Saray was a setback, but it was not the end of the Golden Horde. Following the defeat of Toktamish, Timur had installed a new Khan of the Qipchaqs, and the Golden Horde continued, spending the following few decades raiding the principalities of Russia. However, power was gradually coalescing into new internal confederations formed around the leadership of a few aristocratic clans. The two groups who were destined to affect the future history of Khorezm were the Noghay or Mangit Horde and the Shaybanid Horde, the latter having increasingly adopted the tribal name of Uzbek (after the highly influential Sultan Özbeg, former Khan of the Golden Horde) from the mid-14th century onwards. The Shaybanids had traditionally occupied the steppes to the east and south-east of the Ural River, including the region of Turgay. In the summer they camped in the west, in the vicinity of Orenburg, and in the winter they moved east towards the Sarysu. After the White Horde tribes had migrated into Russia, the Shaybanids gradually occupied their vacated lands along the Syr Darya. The Noghay Horde were located to their south-west, living on the waterways and steppes from the shores of the Azov Sea to the lower Volga, Ural, and Emba Rivers, possibly reaching as far east as the northern Ustyurt and the Aral Sea. Between 1400 and 1412, the Noghay Horde leader, Edigu Khan, actually became the real power behind the Golden Horde throne. Despite his plans for succession, Timur's empire quickly disintegrated following his death, with leading personalities within his regime fighting to retain control of their own fiefdoms. This power struggle was particularly fierce in the Transoxiana heartland. Within the year, the unofficial ruler of the Golden Horde, Edigu, had already struck south to invade Khorezm, forcing its governor Musika to flee. Anka was installed as a replacement but only retained the province for a short time. The Khan of Khurasan, Shah Rukh, probably Timur's most capable son, finally restored stability in 1409. After entering Samarkand, he punished the warring amirs and installed his 15-year old son, Ulugh Beg, as ruler. At the same time Shah Rukh decided to relocate his capital to Herat in Khurasan, which in time would develop into a major cultural centre. For two years Ulugh Beg was supported by a tutor named Shah Malik, whose thirst for power resulted in his departure for Herat in 1411. A little later in 1413, Khorezm was transferred to Shah Malik in the form of a land grant. Khorezm would remain a nominal suzerainty of the Timurid rulers of Khurasan for the next century. Transoxiana was to be relatively well-ruled by Ulugh Beg for the next forty years. It was during his reign that the Registan Square was laid out on the central crossroads in Samarkand. In 1427 Ulugh Beg attempted to extend his authority back into the eastern Qipchaq Steppe but his army was badly defeated by local military-nomadic leaders belonging to the Shaybanid Horde. Yet in the following year, Abu'l Khayr (ruled 1428-69), a seventeen-year old Shaybanid Khan from Siberia, seized control of the very same region. Abu'l Khayr soon became a powerful force, supported by a formidable army of nomadic warriors. In 1430 he took possession of Khorezm and sacked the unfortunate city of Urgench, which had only been partially rebuilt during the last decade of the 14th century. Just before 1447 he gained control over the fortified towns along the middle Syr Darya, including Arquq, Sighnaq, Suzaq, Uzgend and Yazi. From his capital in the north, probably Sighnaq, he directly intervened in the affairs of Transoxiana by exploiting the disputes between its local Timurid rulers. In 1451 he tipped the balance of the power struggle that followed the death of Shah Rukh by helping Abu Said to win the throne of Samarkand. Abu Said spent almost two decades attempting to restore the Timurid Empire with conquests in Khurasan and later Persia, during which he too chose Herat as his capital. But when he attempted to invade Azerbaijan in 1469 his forces were defeated and he was executed. His removal left Persia undefended, leaving it open to invasion by the Turkmen Horde of the Aqquyunlu, or White Sheep. "He was an able padishah, shepherd of the flocks, and God fearing. His highness ... possessed an eminence among kings, because moral virtues achieved by no one [else prevailed] in his governance and reign. .. Abu'l Khayr Khan was distinguished among preceeding and following kings especially by great magnanimity." Under Abu'l Khayr's rule many of his nomadic tribal supporters migrated eastwards into the Syr Darya valley � not just those from within the Shaybanid-Uzbek Horde, but many Mangits and other tribes from the eastern Noghay Horde. However Abu'l Khayr's growing empire was brought to a halt by the Kalmuks, eastern Mongols from the Altai, who invaded his emerging Uzbek Khanate in 1457, plundering and devastating the north bank of the middle Syr Darya. This severely weakened the new regime and many of the nomad clans that formerly supported Abu'l Khayr deserted him. Over the next decade they migrated eastwards, settling on lands offered to them by the Khan of Moghulistan, in the Chu and Talas valleys, located in the centre of southern present-day Kazakhstan. Following their separation from the Uzbek Khanate, these nomads became known as Qazaqs (meaning adventurers or rebels) or Kyrgyz-Qazaqs, making this division one of great historical importance, given the extent of the territory that they would soon occupy. The Qazaqs subsequently divided themselves into three separate confederations located on their own pasturelands in the steppes: the Junior or Younger Juz or Horde occupied the region between the lower Ural River and the Sarysu, the Middle Horde the northern steppes between Aktyubinsk and Semipalatinsk, and the Senior Horde the steppes between Turkestan and the south of Lake Balkash. We have only sketchy details of Khorezm following its annexation in 1430. Abu'l Khayr appears to have installed a Shaybanid prince to rule his new province, Timur Shaykh, a grandson of Arabshah ibn Fulad with a direct line of descent from Jöchi. He, and particularly his descendants, would become one of Khorezm's important ruling families, known as the Arabshahid dynasty. Khorezm too experienced a gradual influx of Uzbek tribes belonging to the Shaybani Horde, some even venturing into the Turkmen territories along the east coast of the Caspian Sea, including the Mangishlaq peninsula. The arrival of the Uzbeks would pose a major challenge to the independence of Khorezm's Turkmen population and would be followed by almost half a millennium of ethnic conflict. The reign of Timur Shaykh was brought to a sudden end during a skirmish with Kalmuk raiders. The new Uzbek Khanate was faced with the problem of deciding who should succeed him - at the time of his death he was childless and had no younger brothers. Fortunately they discovered that his eldest wife was three months pregnant and when she gave birth to Yadigar, a son, he was enthroned as the figurehead Khan of Khorezm. Obviously tribal Begs were also installed to rule the province until Yadigar reached manhood. He eventually had four sons of his own, three of whom would become future Khans of Khorezm. 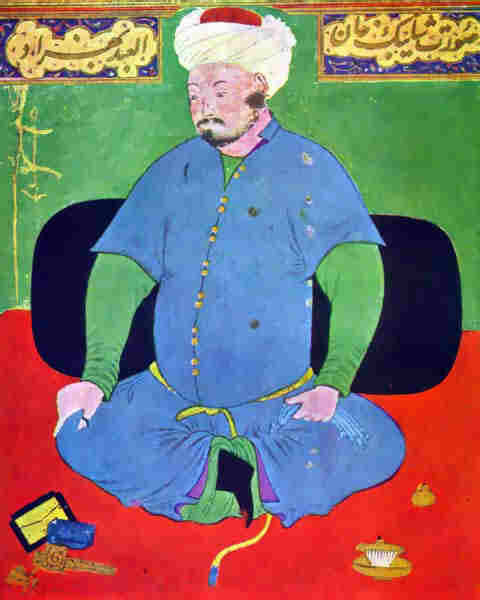 His eldest son, Burge Sultan, provided valuable assistance to Abu'l Khayr by conquering a large part of Transoxiana, and also assisted the Qongrats in their feuds with the Mangits. In 1468 Sultan Husayn Bayqara requested help from Abu'l Khayr in his bid to seize the throne of Timurid Khurasan, but by then the Khan was suffering from palsy. Abu'l Khayr was killed a few months later in a battle with the Kyrgyz-Qazaqs, who he was trying to forcibly bring back into the fold. His son was beheaded later that year in the same dispute. This left a vacuum at the heart of the Uzbek Khanate and a subsequent power struggle, partially filled by Yadigar Khan who extended his rule over some of the Uzbek tribes beyond the boundaries of Khorezm. Following the death of Abu Said, Sultan Husayn Bayqara gained control of Khurasan in 1469, although another Timurid Sultan took nominal control of Transoxiana. On the death of his father some years later, Burge Sultan became the new Khan of Khorezm but was soon assassinated by Abu'l Khayr's 17-year-old grandson, Muhammad Shaybani. Burge's younger brother Abulek took the throne and ruled for sixteen years despite an apparently very un-Khan like meek and inoffensive manner. Abulek was eventually followed by his younger brother, Amenek, who sired six sons, five of whom would eventually become Khans of Khorezm. Miniature painting of Shaybani Khan. The Cora Timken Burnett Collection, Metropolitan Museum of Art, New York. Abu'l Khayr's attempt to establish an Uzbek Khanate along the Syr Darya had failed and more of his supporters left to join the Qazaqs. However, his descendants would have more success. Having lost all, Abu'l Khayr's young grandson, Muhammad Shaybani, offered his military services to Mahmud Khan, the Chaghatay ruler of western Moghulistan, based in Tashkent. In one of his campaigns, in 1486, he actually captured some fortresses in Khorezm and held them for a while. The Timurid king of Khurasan, Sultan Husayn Bayqara, in whose territories Khorezm then belonged was reported to have sent women's veils to the amirs of Urgench after the defeat, presumably as a sign of his disgust at their inability to defend the city. In return for 20 years of loyal service Shaybani was eventually rewarded with the city of Turkestan and began to build up his own private military resources, building alliances with numerous Turkic clans, including Uzbek forces from the original Shaybani ulus on the Syr Darya. He knew that as a result of the intensive quarrelling between the local Timurid rulers, Transoxiana was vulnerable to invasion. In 1500 he took his opportunity and entered Bukhara without resistance, quickly moving on to Samarkand where he killed the reigning Amir, drawing the period of Timurid rule to a close. Shaybani proclaimed himself king of Transoxiana. Mahmud Khan had so far supported the rise of his protégé, but must have had regrets in 1503 when Shaybani attacked Tashkent and defeated him at a battle in Ferghana, adding these new territories to his growing kingdom. 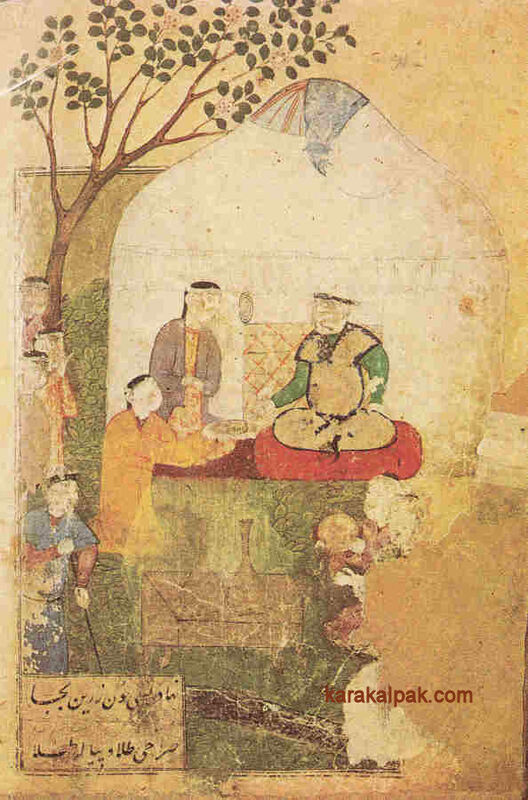 Shaybani Khan in his yurt, probably at Samarkand between 1502 and 1507. Shaybani was now keen to extend his conquests to Khorezm, still a dependency of the Shah of Khurasan, Husayn Bayqara. It seems likely that Khorezm was still ruled by Amenek Khan � we are told by Munis that he was on the throne when Shaybani Khan conquered Transoxiana. 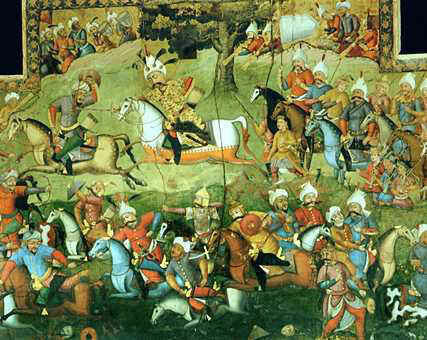 In 1505 Shaybanid forces led by Shaybani's brother Mahmud Sultan laid siege to Urgench, which was defended by its governor with strong Turkmen support. The city was only taken after a 10-month siege, suggesting that it had been extremely well fortified and defended at this time. The next logical conquest for Shaybani was Khurasan especially as its ruler, Husayn Bayqara, had only just died in Herat. He took the province in 1507 without great resistance or bloodshed. In 1509-10 the Uzbeks moved on to invade Kerman. Within the space of a few years Shaybani had created a new Uzbek Empire that was becoming the foremost power in Central Asia. 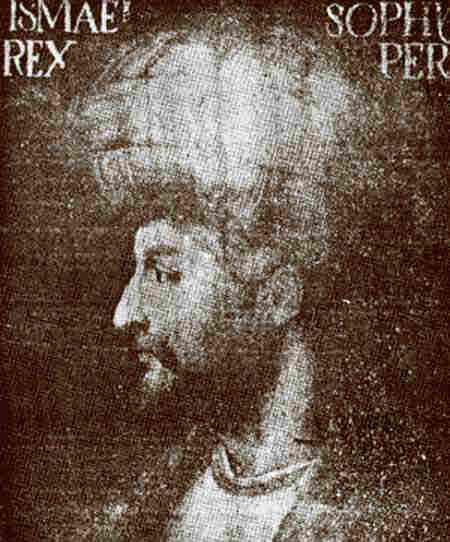 Shah Ismail I, the founder of the Persian Safavid dynasty. However the Uzbeks had come face to face with the newly independent Safavid dynasty in Persia, which had finally overthrown the Turkmen Horde of the White Sheep, ending four and a half centuries of Turkic and Mongol rule in that region. The Safavids were originally the leaders of a radical Sufi order that had sprung up in the Azerbaijan city of Ardabil during the 14th century. Having adopted Shi'a Islam in the mid-15th century their religious philosophy became extreme, demanding that their new faith should be imposed by force of arms. Having built up a fanatical following, the Safavids took control of Tabriz in 1501 and proclaimed their 14-year-old leader, Ismail Safavi, the Shah of Iran - even though at the time they controlled little more than the province of Azerbaijan. Over the next decade they progressively gained control of the whole of Persia and began the process of converting a nation of Sunni Muslims into Shi'ites. In order to recreate the former integrated state of Persia, the Safavids were keen to win back Khurasan and Kerman from the Uzbeks. Shaybani rejected Safavid territorial and hereditary claims to the region and challenged the Shi'ite leaders of the new regime to leave earthly matters to the Mongols. He insulted Shah Ismail by sending him a begging bowl, inviting him to resume the career of his Sufi dervish ancestors. The Shah was said to have replied that he was indeed a dervish and would therefore come with his army to the sanctuary of Meshed in central Khurasan. While Shaybani was diverted by an attack on his rear by the Kyrgyz, the Shah of Iran fulfilled his promise and invaded Khurasan, first taking Meshed. Shaybani meanwhile waited in the Uzbek stronghold at Merv. The Safavid attack came in November 1510 and after being initially repulsed the Persian forces feigned withdrawal. Shaybani Khan gave pursuit and was killed in the ensuing battle and his Uzbek army was routed. It was a momentous defeat since at long last the army of a sedentary regime had finally overcome the army of a nomadic regime. Tradition has it that the Persian Shah celebrated his victory in true nomadic style by making a drinking cup out of Shaybani Khan's skull. 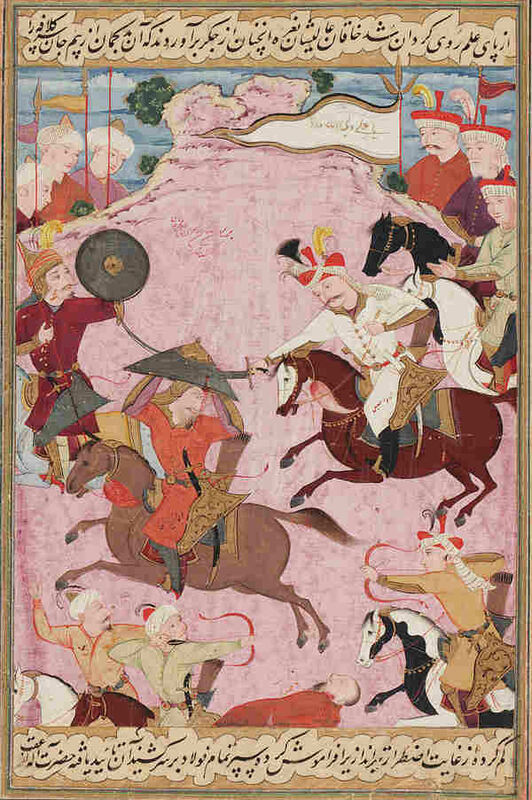 The battle between Shah Ismail and Shaybani Khan in 1510. From the Tarikh-i alam-aray-i Shah Ismail. Another painting of Shah Ismail attacking Shaybani Khan in 1510. The death of Shaybani could well have been the end of the nascent Uzbek State. Having taken Khurasan, the Persian army swept north to occupy Khorezm and Transoxiana. The Persians sent out an invitation to Babur, the dynastic heir of the Timurids. The capable Babur had taken the throne of Ferghana at the tender age of fourteen and had subsequently annexed Samarkand, only to be evicted from his territories by the Uzbeks. He responded by invading Afghanistan in 1504, which effectively left him exiled in Kabul. Babur returned to Transoxiana in 1510, where the population initially welcomed him with open arms. However, the Turkic-Mongol populations of Samarkand and Bukhara were mainstream Sunni and did not take kindly to the minority Shi'ite Persian Muslims. It did not take long before Babur was being criticized for dealing with heretics. Encouraged by the growing religious disturbances, the Uzbeks returned from Tashkent to Transoxiana in 1512 and defeated the Persian army at a major battle at Ghujduvan, north of Bukhara. 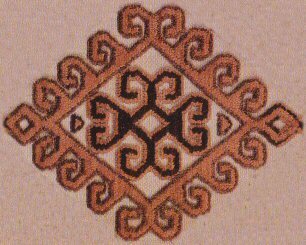 Rather than appoint an overall ruler of Khorezm, the Persians had installed three darughas, or city governors, to rule Khiva and Hazarasp, Urgench, and the new town of Vazir. The princes of the former Arabshahid dynasty led the resistance against the new rulers, especially the two Sultans, Ilbars and Balbars, both sons of Burge Sultan. As in Transoxiana, the princes exploited the dislike of the profoundly Sunni populations of Khorezm for the heretical occupying Persian forces. The initial revolt began in Vazir, with the local nobles closing the gates of the city and massacring the Persian rulers within. Ilbars was proclaimed Khan the following day. Three months later Ilbars Khan captured Urgench and then rallied the other royal princes for an attack on Khiva and Hazarasp. Although Balbars legs were crippled with paralysis he was nonetheless a brave warrior who participated in the fighting. Ilbars (1511-1517) became the Khan of the newly independent Khorezm, ruling from his capital at Urgench. He is often referred to as the Khan responsible for establishing a new Khorezmian dynasty, termed either Shaybanid or Arabshahid, neither of which are truly correct. Though descendants of the original Shaybanid Horde, their family line was different to that of Shaybani Khan, who re-established Uzbek power in Central Asia - because of inter-clan rivalries they had not participated in Shaybani's campaigns. At the same time we have already seen that the Arabshahid dynasty dates from 1430. Ilbars' achievement was to restore legitimate Arabshahid rule. Under his regime another wave of Uzbek tribes began to migrate into the Khorezm oasis from the eastern Qipchaq Steppes. During his reign Ilbars raided northern Khurasan to incorporate the oases of Merv, Nisa, and Abiward into Khorezm and also subdued the Turkmen tribes living in Mangishlaq and Balkan. The repetitive raiding of neighbouring territories would become a routine affair for Khorezmian rulers over the coming centuries and would lead some historians to label Khorezm a "brigand state". According to usual practice the Khanate was divided into appanages that were shared out among all the male members of the ruling clan. It operated less like a State and more like a confederation of nearly independent principalities under one nominal ruler whose power over the other members of his family was sometimes slender. A second Uzbek Khanate was formed in Transoxiana by a different branch of the Shaybani clan with Samarkand as the official capital, and Bukhara as the second royal city. It was headed by the Khan of Bukhara. Following the eastward migration of many tribes from the Noghay and Uzbek Hordes, the residual Golden Horde in the western Qipchaq Steppes was not only weaker but was in the process of re-crystallizing into three new power centres. During the middle of the 15th century various Turkic-Mongol tribal leaders established the Khanate of Crimea to the north of the Black Sea, the Khanate of Khazan in the territory of the old Bulghar kingdom on the middle Volga, and the Khanate of Astrakhan on the northwest Caspian. Their leaders were Mongol by descent but their populations were Turkic and Islamic. The Russians had suffered several centuries of persecution by their Tartar neighbours, but were now emerging under Ivan the Great as a powerful nation. When the Golden Horde army approached Muscovy in 1480 they were surprised to be opposed by a strong and professional army and decided it might be wise to avoid a confrontation. Russia subsequently entered into an alliance with Crimea against the Golden Horde and in 1502 the Khan of Crimea attacked and destroyed its capital city of Saray. After just over 250 years of rule, the last of the great Mongol Hordes was finished. It truly was the end of an era. Although many leaders would claim to rule under Mongol authority for centuries to come, the Turks were essentially back in control of Central Asian affairs. At the same time, the Shi'ite conversion of Iran had introduced a cultural barrier, isolating Khorezm and the rest of Central Asia from the orthodox Sunni populations of western Inner Asia. But the biggest revolution was taking place a long way away from Khorezm. After several attempts, the Portuguese finally found a sea route to India. In 1498, Vasco de Gama reached Kerala after sailing around the Cape of Good Hope. There would now be a much more economic and secure way of transporting merchandise from India and Asia to Europe. For Khorezm, it was the final nail in the coffin.